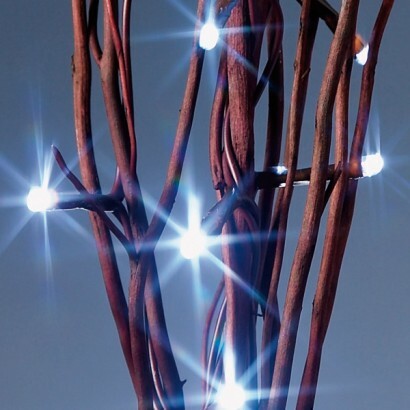 These Twig Lights are battery powered LED superbright lights which you can place around your home. 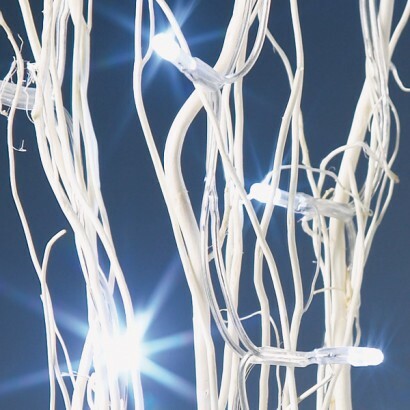 Real twigs in either natural tones or coloured in wintery, festive white, these lights are a great lighting effect and add some special mood lighting to the home. 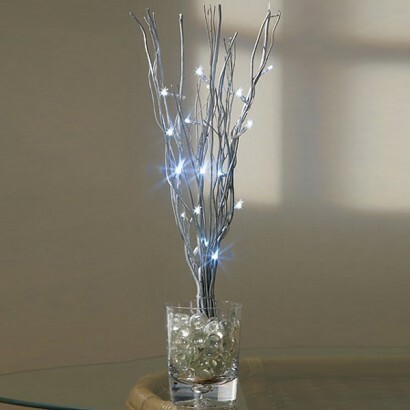 These Twig Lights make great Christmas decorations too, just pop them into a vase with glass beads and you have a stunning plant like mood light. These Twig Lights are also battery powered and require 3 "AA" batteries to operate (not included) and extremely energy efficient! 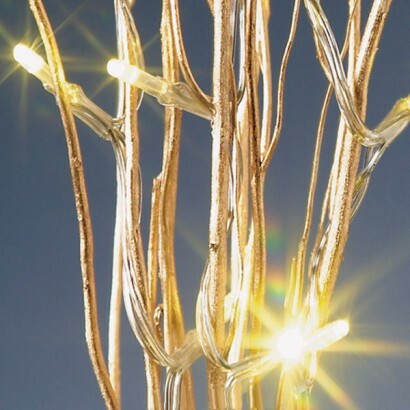 Twig decorative with 16 warm amber LED's. Battery operated, requires 3 'AA' Batteries (not included). 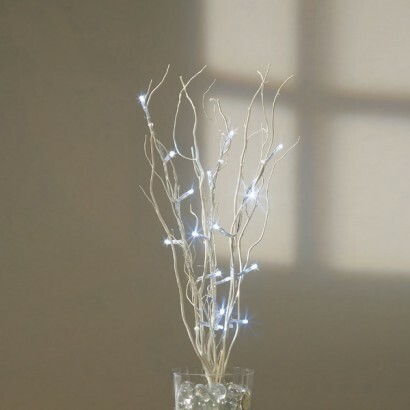 A great decorative set of lights to place in vases around your home! Just what I wanted I've been looking for twig lights for awhile now just to go on the the top of my draws so didn't want anything huge these were perfect look great recommended!! !